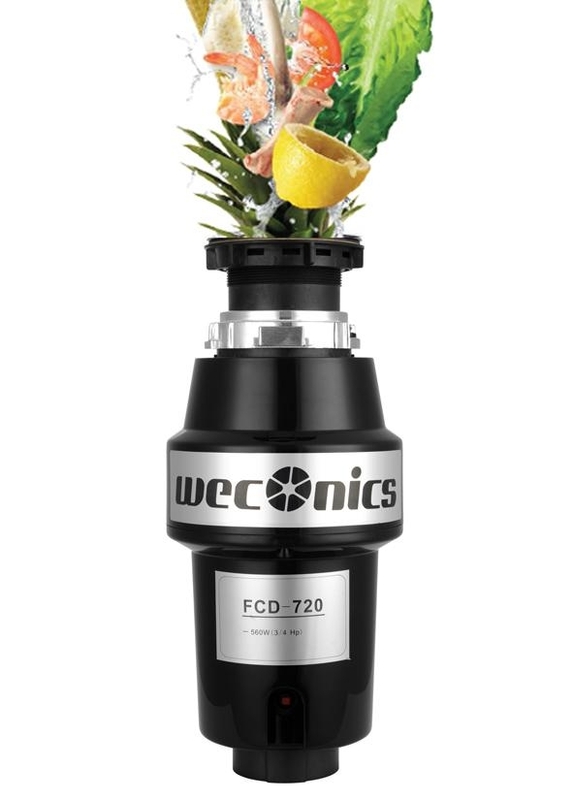 Weconics food waste disposer's alloy hammer no the grinding wheel will conduct hammer, slice, cut, tear, these four actions to smash the food waste, also it can adjust its working position automatically according to the solidity of the food waste. Weconics's disposer has a triple grinding unique function, first grinding will separater the waste into two types, completely grinded waste will expel through water, while the remaining will continue for second grinding and poured out after completely grinded. Weconics food waste disposer use equilateral triangle theory to locate the alloy hammer for grinding, in this way it can maintain its good stability. Low noise of the motor is Jiling disposer's leading advantage. Automatically adjust position of the alloy hammer can greatly reduce the noise while working. Exquisite craftsmanship, constantly purchasing high quality, highly present its noble and taste. Easy to install, users can install the disposer within around 15min according to the installation video or instruction manual.